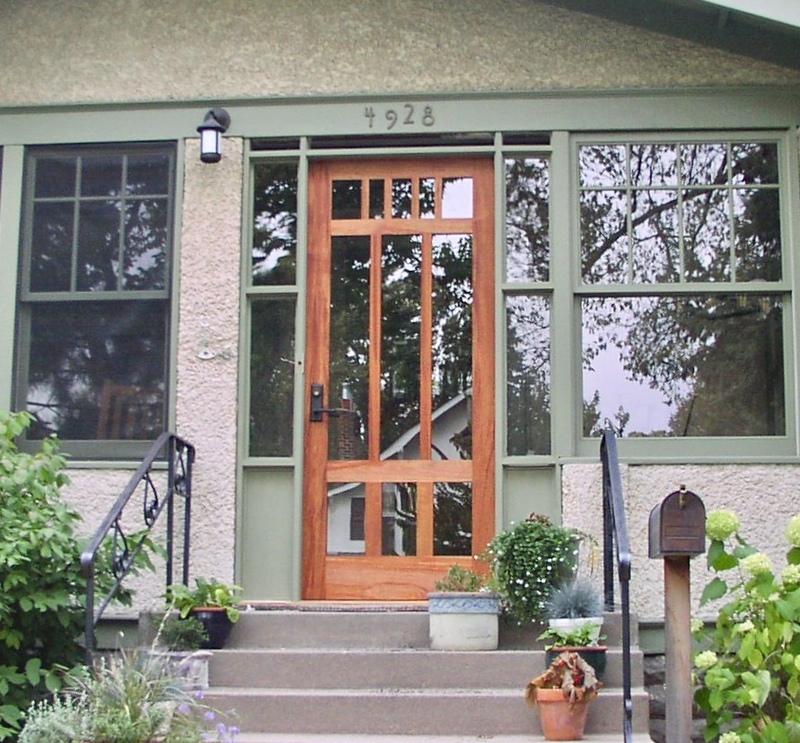 With nearly 20 years of door-making experience, we pride ourselves on making high-quality wood screen doors in custom sizes, so every home can have a Montana Screen Door! To order your custom screen door, simply select the closest height and width from the dropdown list to your desired dimensions. However, what if you do not see your door size on our dropdown list? Do not fret, for you can simply type your desired height and width to the exact fraction in the "Custom Dimensions & Special Instructions" text box on the product page (see below). We can make any door up to 44" wide and 96" tall. For more details, please review our FAQs page, or give us a call so we can provide you a quote. 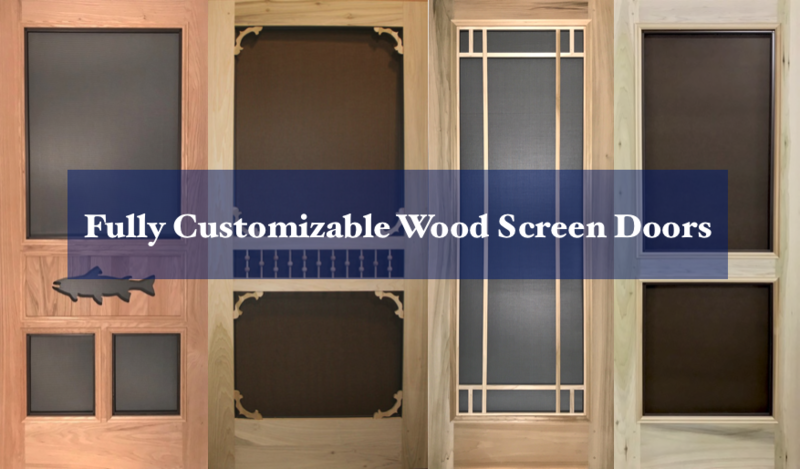 We encourage all customers to check out our Custom Collection wood screen doors. This unique collection embodies doors that are commonly ordered in custom sizes, and are just plain cool. If at any time you have a question during the ordering process, please give us a call at 800-404-8279 to speak with one of our door experts! 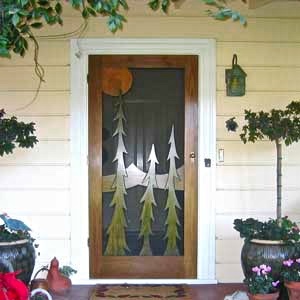 Not only can we create the perfect size screen door for you, but we can create a special design you have in mind! 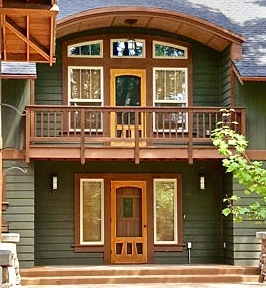 Seeing our customer designs come to life is a beautiful thing, and that is exactly what happened when a customer submitted the design for our Unique Forest door that is now a fan-favorite in the Nature Series! 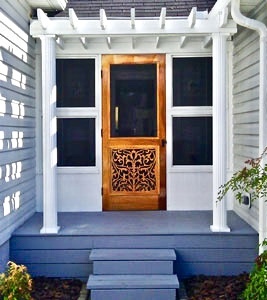 You too can create the next big thing here at screendoors.com! Simply email us a design at sales@screendoors.com and call us to receive a quote!